Introducing Hempnotic, Hemp Based Beauty. I’ve decided to turn a new leaf on skin care. My first concern was an ongoing issue of dry lips. I’m not satisfied with the current lip product selection containing fillers and petroleum. It made my lips flaky and irritated due to the inferior ingredients, so I made a solution. 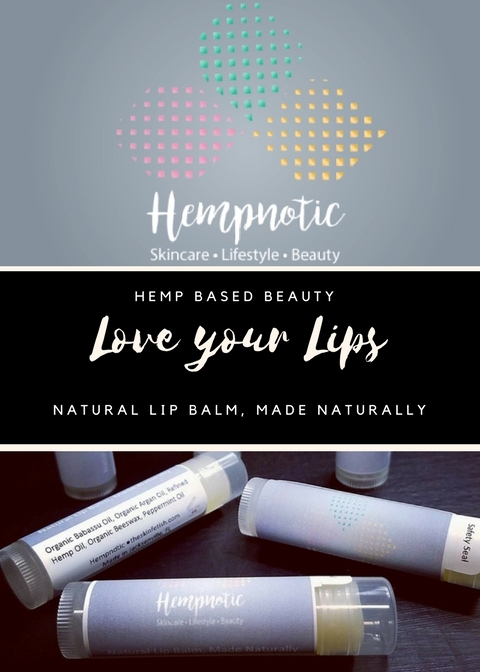 Hempnotic lip balm is made with organic ingredients, Hemp being one of the active ones. Hemp is proven to increase skin elasticity with its essential fatty acids and stimulates collagen, A NATURAL LIP DEFINER & PLUMPER. I carefully designed it to not only moisturize your lips, but to hydrate all lip layers. This allows the pH to evenly balance out for continuous hydration throughout the day with little reapplication. Great to use under your favorite lipstick. Slightly scented with peppermint oil. Carefully packaged in BPA-free, twist-up tubes with safety seal.